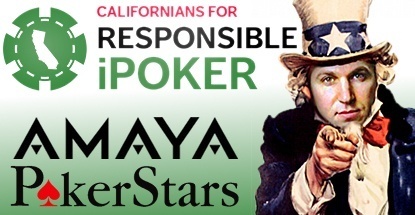 A new PokerStars-backed coalition called Californians for Responsible iPoker is seeking supporters in the Golden State through the new advocacy group. As well as collecting signatures from resident proponents, the alliance lays down its aims and principles in a ten-point plan for responsible regulation. It also announces the establishment of the PokerStars Pro Tour, which will see well-known players like Chris Moneymaker, Daniel Negreanu, Vanessa Selbst, and Jason Somerville visiting card rooms across California in an effort to win hearts and minds. 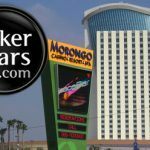 “The Morongo Band of Mission Indians, San Manuel Band of Mission Indians, California’s three largest card clubs (the Commerce Club, Hawaiian Gardens Casino and the Bicycle Casino) and Amaya Inc, which owns and operates PokerStars, have formed a business alliance to promote legislation that authorizes and regulates intrastate real-money online poker in California,” states the site. The coalition calls for market inclusivity and an end to the “failed, divisive politics of the past,” that have derailed previous efforts at regulation and is set to do so this year. 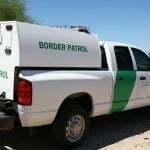 The group is opposed by an alliance of tribal operators who wish to exclude PokerStars and the California racetracks from a regulated online poker market. “After more than six years of failed attempts in California, it is clear that stakeholders must reach substantial consensus in order for any bill to pass. We must abandon the failed, divisive politics of the past that motivated anti-competitive and likely unconstitutional legislative proposals specifically intended to exclude one of the most successful and well-regulated iPoker service provider from California’s market,” the group’s message continues. CRP may or may not want race tracks along for the ride, but the wording of its agenda would imply that tracks would be included in any positive outcome. The group’s opponents, however, remain as steadfast as ever. The Viejas Band of Kumayaay Indians recently launched a radio ad campaign that went straight for the jugular. “California Legislature should be trying to stop Internet scam artists and conmen,” it began, before it became clear that the Viejas includes PokerStars in that category. The operator accused PokerStars of being “corrupt” because of the Black Friday indictments and the current securities trading investigation into Amaya Inc.
“This hasn’t stopped PokerStars from lobbying our state legislature to allow them to participate in online poker here in California, gaining access to every computer, tablet and smartphone in the state,” the spot continued. With this new coalition, the poker wars will no doubt be heating up for the second half of 2015. A recent $280 million investment in the global iPoker company’s parent’s parent Amaya by PointState Capital, a hedge fund, has had many wondering if at least the much-touted PokerStars New Jersey launch may at last be imminent. Once the operator gains a foothold back into the US market, a California presence could become much more tenable. 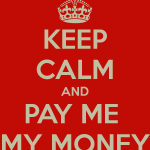 Perhaps it is this possibility for which Californians for Responsible iPoker is readying itself.